This informative post was written by Dr. Navaz Habib. I encourage you to go check out his website and follow him on Facebook and Twitter. 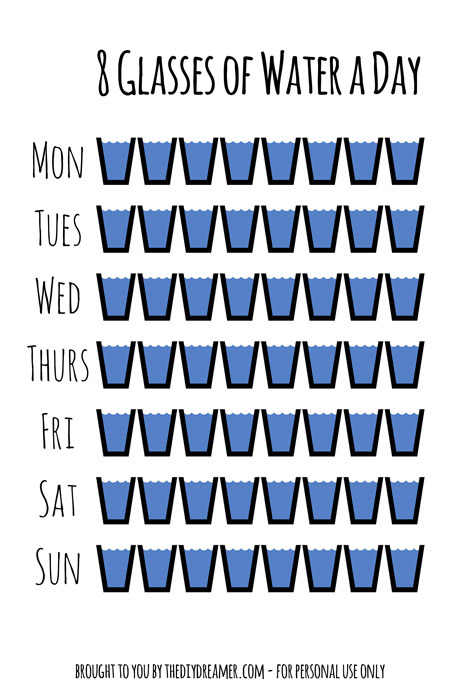 We have all heard the rule – Eight glasses of water per day. Why is it so important that our bodies have enough water? What functions does water perform to help us survive and thrive? Without water, nothing lives. This is why when NASA recently found potential traces of water on Mars, they were ecstatic as it meant that with the presence of water, life is possible. Back on earth, we are lucky to have an abundance of this resource which we are clearly taking for granted. Water is the main bonding adhesive component of in the structure of the cells. The cellular membrane is aligned around the presence of a specific amount of water. Too much or too little water will cause the membranes of cells to collapse or burst, therefore making them useless. 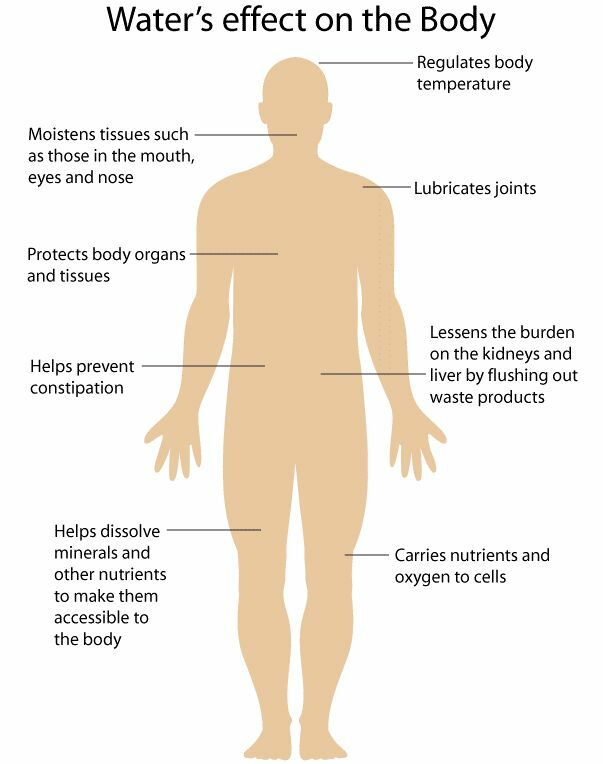 H2O is a major component of our blood. Blood is the bodies chosen transportation method for energy (from the breakdown of food) and nutrients (such as vitamins and minerals) to reach all of the cells of the body. Once the energy and nutrients are sent to all of these cells, the blood then transports any cellular waste to the kidneys, liver, and spleen for detoxification and removal from the body. A proper balance of water is required in order to allow for nutrients, and waste to dissolve into it, so that it can be moved from organ to organ, allowing our entire body system to function optimally. Signals can be sent between cells in our body, in multiple different ways. The cells that make up our Nerves (Neurons) signal between each other and with other organs (muscles, heart, lungs, digestive organs) using Neurotransmitters, which are small proteins formed with the direct input of water. Another method of cellular signaling is by Hormones. Hormones are formed in various glands and organs of the body (hypothalamus, thyroid, adrenal glands, etc.) and are transported through the bloodstream to their target cells. Without water, cellular signaling and communication would be impossible. Without a correct amount of water in our diet, the foods that we eat cannot be moved through the digestive tract at the correct pace. If there is too much water, often the foods that we eat will travel too quickly through the tract, and not be absorbed correctly. This can also lead to Diarrhea. If there is not enough water, food will move very slowly and can become dry and clumpy, leading to potential Constipation. A proper balance of intake and absorption of water through our intestines is required to make food move through the digestive tract. Great, so now that we know that we need a proper balance of water in our bodies, how can we achieve it? Water is absorbed into the body in the large intestine. 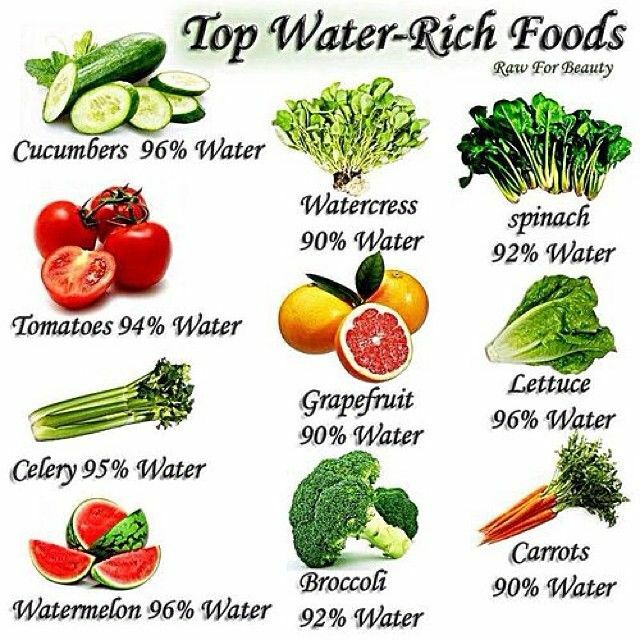 However, much of our food intake has a high composition of water. Those who eat a diet higher in fruits and vegetables do not need to drink as much water daily as people who have a diet higher in fat, protein, and processed carbohydrates. Dehydration and overhydration are not issues to take lightly as the effects can be far-reaching. It is important to consume a safe amount of water daily of between 6-8 glasses per day – and ideally, that water comes from a filtered source. Plastic bottles are not good for the environment, nor are the contents of the bottles safe for repeated use by humans. Much of our water has been contaminated with herbicides, pesticides, and chemicals that are used in various industries around the world. Many of these chemicals can have negative effects on our body function. Our municipal water treatment plants are good but are not getting 100% of the potentially harmful substances out of our water, so it is important to filter your water before you drink it. Most people should drink 6-8 glasses of filtered water, in a glass or metal (BPA free) container daily. If you are highly active or work in higher temperatures, more water is needed to keep you cool and to function correctly. If you eat a cleaner, greener diet, you may not need to drink as much water as others. If you suffer from a medical condition or are taking any medications, please speak with your physician or pharmacist before changing your water intake. Dr. Habib is a Chiropractor, Functional Medicine Practitioner and Acupuncture Provider based out of the Greater Toronto Area. He consults with patients world-wide in regards to autoimmune, brain, gut and hormone health conditions. His goal is to find the root cause of the biochemical, physiologic, genetic, environmental and lifestyle factors contributing to his patients symptoms. Virtual consultations are available world-wide and on location in Toronto.